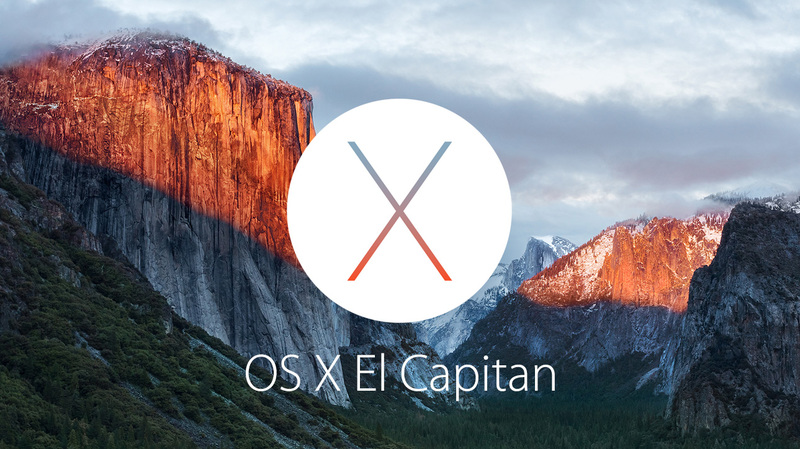 At the WWDC 2015 Keynote, Apple announced the next version of OS X is El Capitan. 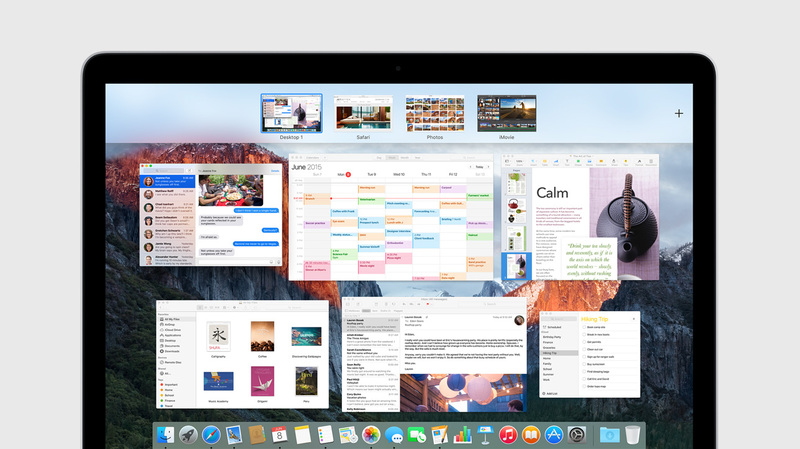 Similar to Apple’s “Snow Leopard” moment in the previous incarnations, the primary focus with El Capitan is improving not only the user experience in OS X, but also the performance levels of the operating system. 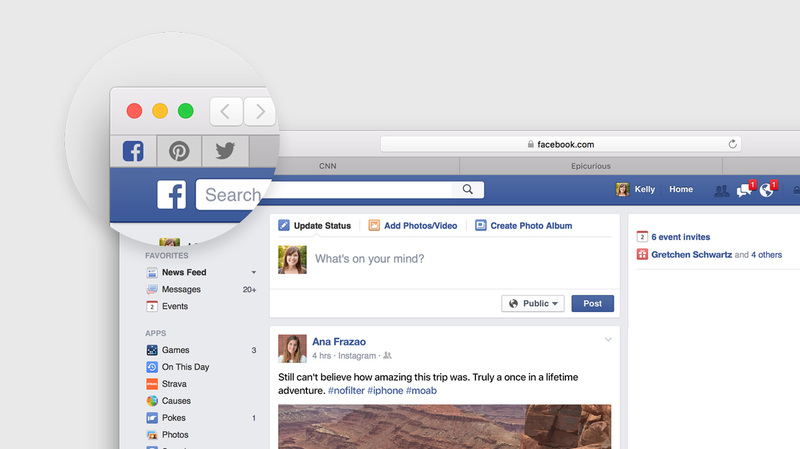 Unlike the radical UI changes with Yosemite, El Capitan takes a more subtle approach. The biggest change to the underlying system involves a more powerful Spotlight search that includes greatly improved natural language support. 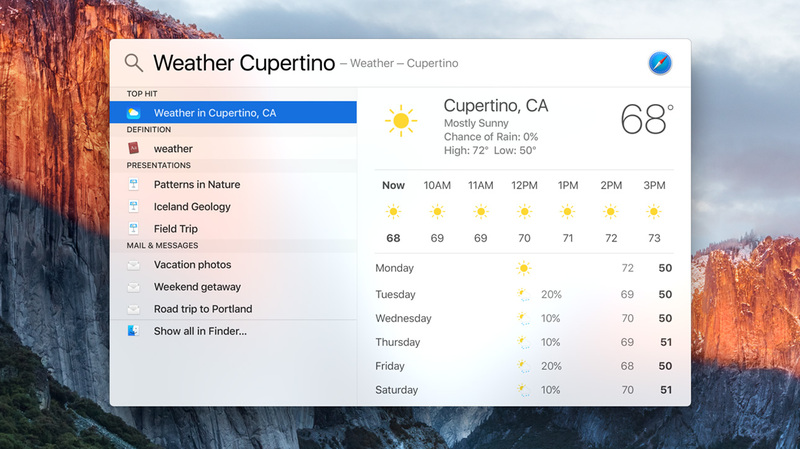 You can do queries such has “Weather in Cupertino,” “Mail I ignored from Phil,” or “Documents I work on last June.” Spotlight and finder and Mail all work together to help find the documents and information you want without the fuss. As a subtle change, Safari thankfully has support for tab pinning which will leave tabs pinned to the browser window for quick access. Additionally, Global tab audio muting which will suppress those rogue tabs with auto-playing video ads that drive you mad when you have dozens of tabs open. Finally, the most exciting change for me are the new windows management and expose features allowing us to quickly handle a busy desktop. One of the most desired features I’ve wanted since I switched full time to OS X from Windows 7 was the idea of window “snapping” which would allow me to set two windows side by side on my computer. In Windows 7, it worked amazingly well and was a boon for productivity, but in OS X, it required and outside app such as the great Divvy app. 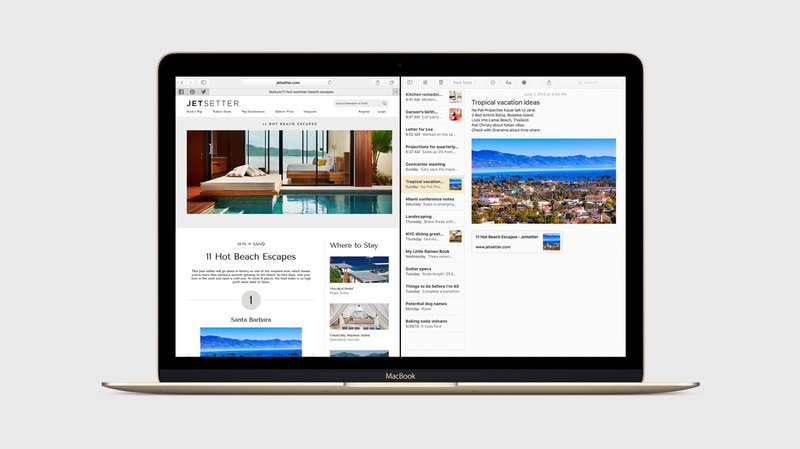 With El Capitan, this type of split screen management is native to the system and is seemingly easy to use. In Mission control, dragging a window onto another will create a split view between the two apps. From there, you can drag the middle border to give each app the amount of space you’d like. Additional small quality of life improvements include taking a desktop app and moving it into full screen by simply dragging it to the spaces bar. You can also create a new desktop with the app by dragging it to the new desktop space button at the top right. What is in my opinion the bigger reveal of El Capitan is the greatly improved performance capabilities of the next generation of OSX. 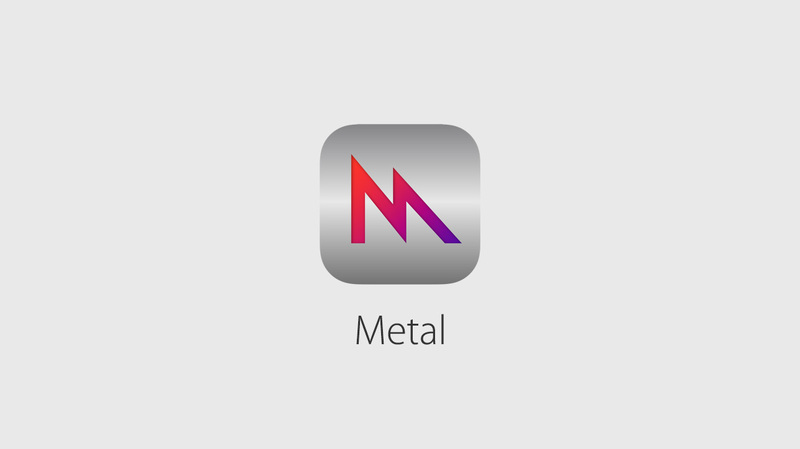 Apple has brought Metal, the performance based hardware abstraction layer for iOS, to the desktop. Instead of developing in OS X against OpenGL and OpenCL libraries, Developers can now develop against the unified Metal APIs which Apple as tuned for performance against OpenGL and OpenCL. 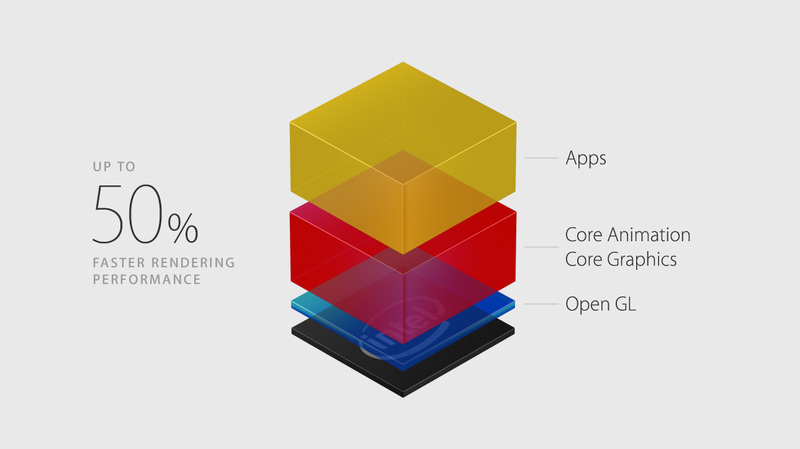 Their big example was showing off the performance improvements from Adobe products reengineered under Metal, showing 8x performance improvements in renders and workflow. 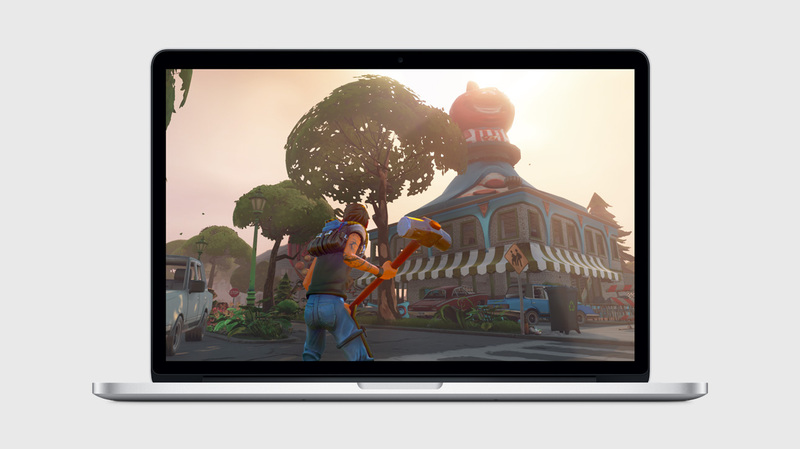 Additionally, under Metal, Apple showed off Epic’s upcoming Fortnite game developed under a Metal based Unreal engine and noted an 70% reduction in CPU usage. This could have major ramifications on both gaming and general computational operations that were CPU and GPU constrained under OpenGL and OpenCL. 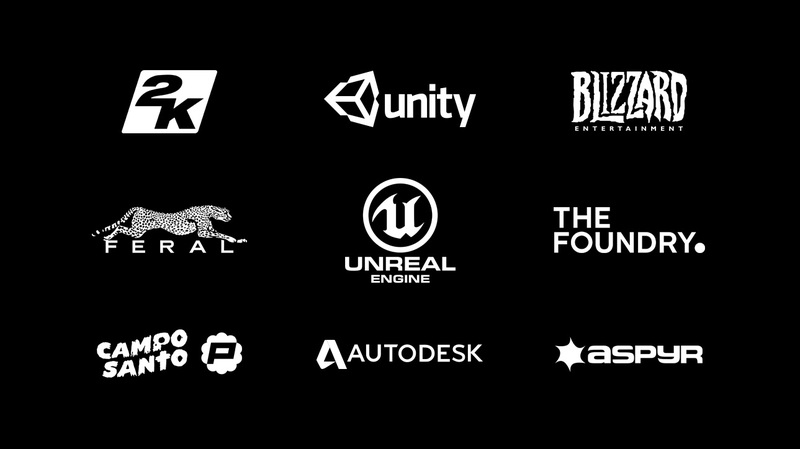 Other developers shown as committed to Metal included Unity (developer of one of the most widely used gaming engines), Blizzard (developer of Warcraft, Starcraft, and Diablo), and Autodesk (developer of the de-facto 3D rendering and design tools). While there are few new interesting user experience additions to OS X, the most compelling changes are the interesting continual abstraction of code from hardware to provide greater and more targeted performance boosts on their known set of hardware iterations. One big question I have is what does the development of Metal for OS X mean for the future of the OS X hardware architecture. By abstracting away the computational and performance layers of OS X, is this just the weaning away from the Intel architecture that we’ve heard rumored for the last several years? The Developer Beta for El Capitan starts today for registered developers. 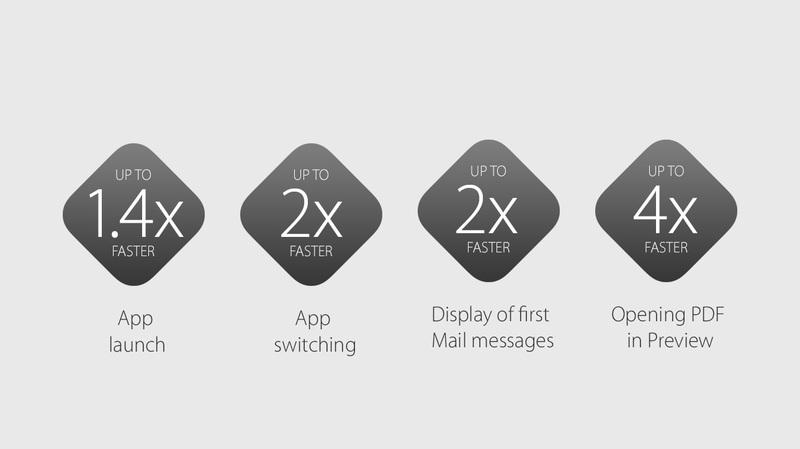 The new developer program provides a single $99 fee for access to OS X, iOS, and WatchOS at once. You can sign up for the Public Beta releasing in July at beta.apple.com, and El Capitan will release to everyone in the Fall. Check out all of our WWDC 2015 Coverage here!